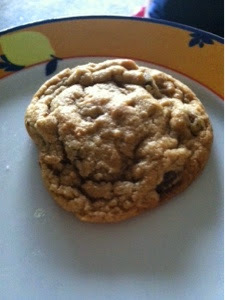 Substitute have the chocolate chips with butterscotch chips and add roasted pecans to the Toll House chocolate chip cookie recipe to make these delicous cookies. I roasted my pecans in a fry pan with about 2 tablespoons of butter. These turned out really good, I could not stop eating them when they were coming out if the oven. Your Cookies look so good. I just love roasted nuts they smell so good. Hope you are having a great day and thanks so much for sharing this awesome post with Full Plate Thursday.